Basel, Switzerland—More dominoes are falling in Basel. René Kamm, CEO of MCH Group AG, which produces the Baselworld Fair, has stepped down from his post after almost 20 years with the organization. The legendary, century-old watch fair kicked off a stream of woes once it embarked on a relentless focus to reinvent itself as a glamorous, upmarket luxury event rather than remain what it always had been: the world’s biggest watch and jewelry show, with exhibits ranging from lavish watch booths that cost as much as a good-sized house, to small 10 x 10 showcases of loose diamonds or artisan designers. But stratospheric prices drove out the little guys, some of the not-so-little guys and, in time, also started to drive away visitors. The 2018 edition of Baselworld was half the size of prior years and two days shorter, and analysts say attendance was way down, something they attributed to buyers who not only resented the high cost of hotels and restaurants in Basel, but also realized they could see most of the same companies in more hospitable surroundings. Managing director Sylvie Ritter—architect of the fair’s costly upscaling—resigned in May following the poor showing of the 2018 event. Then two weeks ago the Swatch Group, the show’s biggest exhibitor, announced its exit from the fair. Swatch CEO Nick Hayek cited show management’s unwillingness to change with the times or communicate with key exhibitors—and also got in a swipe about underwriting the cost of the fair’s Herzog & deMeuron-designed building (top of page) that opened 2013. Kamm started as the fair’s director in 1999, then Ritter stepped into the role when Kamm moved up in the organization. MCH Group AG board chairman Ulrich Vischer will fill in until the company can find a new permanent CEO. Copenhagen, Denmark--Almost 400 workers at Pandora, the Danish beadmaker, will lose their jobs after the company reported flat second-quarter sales and slashed its forecast for the year. 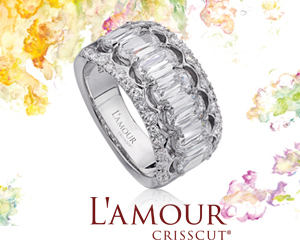 An article in National Jeweler says the majority of the job cuts will be in Thailand, where the jewelry is made, and will save the company about $23 million as it works to shift more resources to digital and e-commerce operations. Sales of the brand have slowed in both the United States and China, two key markets. Read more here. Carlsbad, CA—GIA (Gemological Institute of America) has $2 million in scholarships available for established and aspiring gem and jewelry professionals. Those interested in GIA gemology and jewelry manufacturing arts programs, distance education courses, and lab classes can apply for scholarships offered in the current application cycle, which opened on Aug. 1. Applications for 2019 scholarships are available at GIA.edu/scholarships and are due by Sept. 30, 2018. Learn more about GIA scholarships and the many courses they can be applied to. 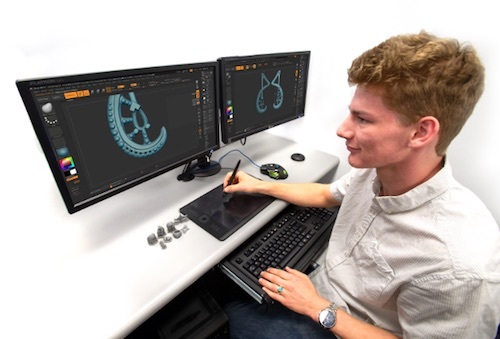 The cutting-edge GIA Jewelry Design & Technology Program includes Zbrush (pictured), which allows jewelry designers to digitally sculpt their latest creation and create stone settings using GIA-developed digital brushes. Scholarships funded by the GIA Endowment Fund and private donors are available for distance education eLearning courses and lab classes, and for programs and classes at the Institute’s schools in Bangkok, Carlsbad, Dubai, Hong Kong, London, Mumbai, New York, Surat and Taiwan. GIA has awarded more than $8 million in scholarships to more than 1,500 students globally since 2014. For more information, call +1 (760) 603-4131 or email scholarship@gia.edu. Separately, GIA's senior industry analyst, Russell Shor, was recently quoted in an article on CNN.com about buying gems while traveling. Click here to read. New York, NY--Organizers of the Jewelry Industry Summit announced the new governance structure and status of the organization: it has been qualified as a 501(C)3 charity, making all contributions fully tax deductible to the full extent of the law. The Summit has also elected officers and a board of directors and announced an upcoming event in September. The new chair Cecilia Gardner, vice chair is Mike Pace of Connected Jewelry, and corporate secretary is Sara Yood of JVC. Program manager is Maggie Gabos of Sheahan Stephen Sapphires. The next Jewelry Industry Summit event, designed to provide information and practical steps for jewelers to engage in responsible actions immediately, will be held September 28 in Pasadena, CA. The event, sponsored by GIA and David Yurman, will include open discussion regarding the challenges and opportunities of sustainability. Speakers to date include Stewart Grice of Hoover and Strong, who will address the use of fair mined gold in jewelry making, and Monica Stephenson of iDazzle.com. Additional speakers will be announced. To register for the event on September 28 in Pasadena, CA, visit www.jewelryindustrysummit.com. The complete board of directors includes: Anna Bario-Neal of Bario Neal, Robert Bentley, Joel Borquist of The Trade Foundation, Stephen Feldman of The Feldman Law Group, Susan Wheeler Geraghty of Susan Wheeler Design, Raymond Hakimi of Jewel of Ocean, Mark Hanna of Richline Group, Jared Holstein of Perpetuum Jewels, Fred Knobloch of Aron Knobloch Inc., and Kevin Reilly of Platinum Guild International. Surat, India--Dharmanandan Diamonds Pvt. Ltd., has entered an exclusive agreement with master diamond cutter, educator, and designer Mike Botha to globally expand the business opportunities of the Sirius Star® diamond collection. Botha is the creator of the Sirius Star. This exclusive licensing partnership consists of the seven patented diamond shapes: Sirius Star 80 Round, Sirius Star 100 Round, Sirius Star Cushion, Sirius Star Cushion 100, Sirius Star Square, Sirius Star Octagon and Sirius Star 88 Round. All are registered trademarks of Sirius Star. Botha added, “I am very pleased with our exclusive agreement with Dharmanandan to cut Sirius Star® diamonds for global distribution. This is a tremendous milestone for the Sirius Star brand as Dharmanandan has the depth of expertise and global reach to carry the brand in adequate inventory in all the sizes and clarity necessary for successful distribution. We look forward to an exponential growth phase without neglecting our independent jewelers who have been fiercely loyal to the brand to date." 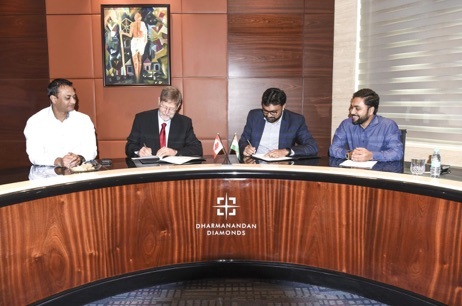 From left: Shailesh Patel, Mike Botha, Hitesh Patel, and Vipul Sutariya sign the partnership agreement for Dharmanandan to cut the Sirius Star lineup of diamonds. Attleboro, MA—Keeping collections fresh is a critical task for designers. Design consultant Marlene Richey, in conversation with Andrea Hill, CEO of The Hill Management Group, will discuss how to manage the collection life cycle. The webinar will be held Thursday, August 9 at 1:00 p.m. Eastern time. MJSA's live webinars give participants a chance to ask the experts questions during their presentations. Each registrant will receive a link after the presentation to view the recorded webinar any time, and questions can be answered after the event as well. Webinars are free for MJSA Premier members, $15 for associate members, and $50 for non-members. Click here to learn more, register, or see the complete schedule. Vicenza, Italy—T. Evolution, a new project dedicated to machinery and technology for gold and jewellery making, will debut at VICENZAORO, September 22-26 in Vicenza, Italy. A new section inside the fair will feature technologies and digital methods—such as 3D printing, laser cutting systems, software for 3D design, the new plugin for Rhinoceros 6.0, and more—that are increasingly part of the jewelry-making process. T.Evolution will offer a full program of workshops and specific technical seminars during the show. One feature will be sessions led by the product manager of RhinoGold and Matrix, the parent company of the most-used software in 3D technology. Bogotá, Colombia--The Second World Emerald Symposium (2WES) will be held 12-14 October 2018, at the new Grand Hyatt Hotel in Bogotá. Organizers have confirmed the attendance of delegates from 25 nations and the participation of eight emerald-producing countries: Afghanistan, Brazil, Colombia, Ethiopia, Madagascar, Pakistan, Russia and Zambia. The three-day event will address the challenges and opportunities faced by the emerald industry, with presentations by more than 60 speakers and experts, panel discussions, working groups, and hands-on training. Topics will focus mainly on the challenges relating to mining and geology, gemology and laboratory testing, harmonization of color names and practices, consumer education and awareness, corporate social responsibility, traceability, compliance, ethics, sustainability, branding and marketing, and discussions on new technologies (such as blockchain) that are impacting the emerald industry. Mine tours also have been organized to visit Colombia’s three important mining areas. The event is being organized by the Colombian Emerald Federation (Fedesmeraldas), with the support of the Emerald Producers Association, Emerald Exporters Association, Emerald Dealers Association and the Colombian Ministry of Mines. Special sponsors include Mineria Texas Colombia (MTC/Muzo), Emeraldas de Santa Rosa (Cunas Mine) and Fura Gems (Cosquez Mine). Speakers include representatives from the Organisation for Economic Co-operation and Development (OECD), Responsible Jewellery Council (RJC), Dubai Multi-Commodities Center (DMCC) as well global luxury brands such as Van Cleef & Arpels and more. The world’s major trade associations will also be in attendance, including the International Colored Gemstone Association (ICA), World Jewellery Confederation (CIBJO), Thai Gem & Jewelry Traders Association (TGJTA), China’s National Gemstone Testing Center (NGTC), Gemstone Association of China (GAC), India’s Gem & Jewellery Export Council (GJEPC), and many more. 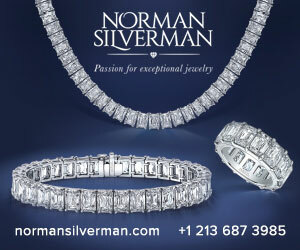 The world’s foremost gemological laboratories will also be represented.